The dsp.SubbandSynthesisFilter System object™ reconstructs a signal from high-frequency and low-frequency subbands. Create the dsp.SubbandSynthesisFilter object and set its properties. subSyn = dsp.SubbandSynthesisFilter returns a two-channel subband synthesis filter, subSyn, that reconstructs a signal from its high-frequency subband and low-frequency subband. Each subband contains half the bandwidth of the original signal. subSyn = dsp.SubbandSynthesisFilter(lpc,hpc) returns a two-channel subband synthesis filter, subSyn. The object has the LowpassCoefficients property set to lpc and the HighpassCoefficients property set to hpc. subSyn = dsp.SubbandSynthesisFilter(Name,Value) returns a two-channel subband synthesis filter, subSyn, with each specified property set to the specified value. Specify a vector of lowpass FIR filter coefficients, in descending powers of z. For the lowpass filter, use a half-band filter that passes the frequency band stopped by the filter specified in the HighpassCoefficients property. The default values of this property specify a filter based on a third-order Daubechies wavelet. Specify a vector of highpass FIR filter coefficients, in descending powers of z. For the highpass filter, use a half-band filter that passes the frequency band stopped by the filter specified in the LowpassCoefficients property. 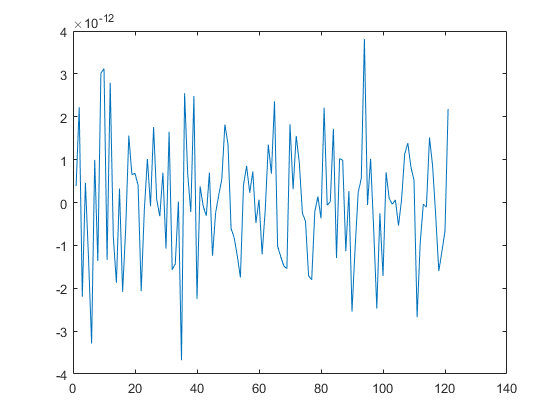 The default values of this property specify a filter based on a third-order Daubechies wavelet. This property applies only if the object is not in full precision mode. Specify the FIR filter coefficients fixed-point data type as Same word length as input or Custom. Specify the FIR filter coefficients fixed-point type as a numerictype object with a Signedness of Auto. This property applies only when you set the CoefficientsDataType property to Custom. Specify the output data type as Same as accumulator, Same as product, Same as input, or Custom. y = subSyn(hi,lo) reconstructs a signal from a high-frequency subband, hi, and a low-frequency subband, lo. High-frequency subband, specified as a column vector or a matrix. Both inputs must have the same size and data type. Low-frequency subband, specified as a column vector or a matrix. Both inputs must have the same size and data type. Synthesized output, reconstructed as a vector or a matrix. The number of rows in the output is the sum of the number of rows of the input signals. Decompose a signal into low frequency and high frequency subbands using the subband analysis filter. Reconstruct the signal using the subband synthesis filter. Plot difference between original and reconstructed signals with filter latency compensated. The SubbandSynthesisFilter object does not have a property that corresponds to the Input processing parameter of the Two-Channel Synthesis Subband Filter block. The object only performs sample-based processing and always maintains the input frame rate. The Rate options block parameter is not supported by the SubbandSynthesisFilter object.